Protect yourself from the dangers of radon. While we do not test for radon ourselves, we have the ability and technology to mitigate and minimize any exposure to it in your home. 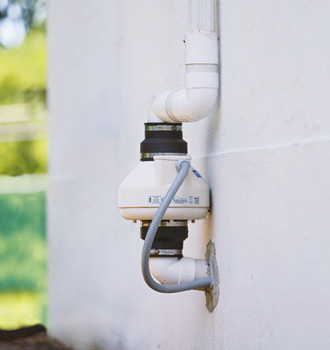 Once your home has been professionally tested for radon, call on Crystal Heating, Plumbing and Excavating to install a system that will minimize the levels of radon in your house. Radon is a very dangerous gas that has been identified as the second-biggest cause of lung cancer. Read more about radon on the EPA’s website. A safe radon level for your home is below 4 pCi/L. In case of a serious emergency, you can call the radon hotline at 1-800-55-RADON. If it has been recommended that you take action to minimize the radon in your home, schedule an appointment with Crystal Heating, Plumbing and Excavating. For over 87 years, we have been a locally, independently operated company.